Update: And thar she blows. The patch is now online, and there’s official notes to go over as well as new skins (and poses) to wish for. The patch is now available to all, including ranked mode, a new spectator client, a huge batch of skins – including enabling pre-order and Origins edition bonuses – and lots of other bits and pieces. Blizzard have also posted official patch notes. Want a more general overview? Check out our rundown of all the Overwatch characters. On the cosmetic front, there’s a batch of new skins. You can see the majority of them in this Imgur album, but the very best is Widowmaker’s, shown below. Original story:Overwatch’s competitive/ranked mode, as announced in our interview last month, will be coming to the beta in the next patch, revealed by Jeff Kaplan during an interview on The Overview podcast today. The info comes with no further details beyond that a development update and blog post will go live at the same time, and it could be as early as this evening. Kaplan teased some other changes that were coming in the new patch too, which I’ve summarised below. Symmetra will be receiving some nerfs, as she is still the highest win-rate hero in the game. Specifically, her shields are being changed to provide less survivability. A tonne of bugfixes, which is now the main focus of the team as they move towards release. 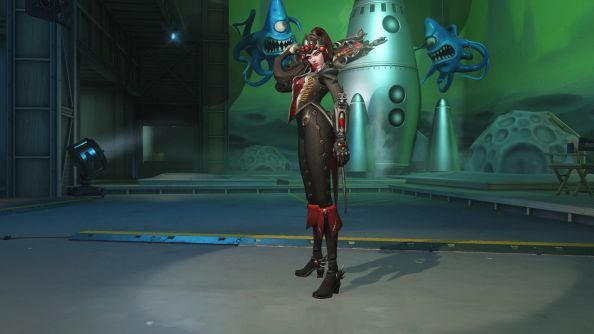 New skins will be on the way too, with the plan being for each hero to have four Legendary skins – those that change their look the most – for release. These will likely be two mains that are significantly different, and then a recolour of each, as we’ve seen so far. Mercy is receiving buffs and QoL changes to make her more effective, including cancellable moves. The crosshair and per-hero customisation options will also be in this patch, allowing you to choose whether to toggle certain abilities or require a button to be held, how your crosshair operates on firing, what it looks like etcetera. Spectator mode also being changed to be more usable. This and competitive mode are non-final versions, but they need to get some testing done before open beta and release. Unsurprisingly, they’re looking for feedback. The patch should hopefully be out ‘in the next few hours’, but could be tomorrow if some critical problems are found before launching. We’ll update this post if and when things become clearer. The full interview is well worth a watch and is available now on Twitch. 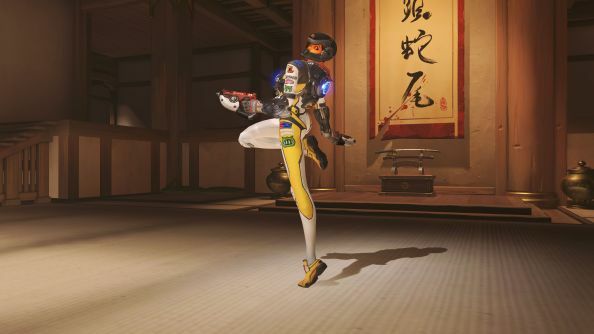 They also talk about the Tracer pose controversy, competitive play, brawls – a tonne of information for anyone interested in the game, not just those lucky enough to be able to play.